Francis William (“Frank”) Rounsefell was a financial agent who lived at 1884 Haro Street from 1904 to 1912. He was born in Wolfville, Nova Scotia on February 19, 1868. His father was John Rounsefell (1833-1916); his mother was Margaret DeWolf (1839-1908). John Rounsefell was originally from Cornwall in England. He married Margaret DeWolf in Wolfville, Nova Scotia on April 30, probably in 1862. In 1871, Frank was living with his parents in Liverpool, England. For a time he went to school there. His father brought the family back to Canada about 1881, and they settled in Brandon, Manitoba. John Rounsefell operated a general store in Brandon. Frank went to work with the Merchants’ Bank in Brandon. About 1887, Frank’s father moved to British Columbia. Frank arrived in British Columbia in February 1888, and worked with Ross and Ceperley until about 1890, when Henry Tracy Ceperley established the Vancouver Loan Trust Savings and Guarantee Company Ltd.
By 1896, Henry Ceperley had established a new company called “Ceperley, Loewen & Campbell, Ltd.,” which acted as insurance and financial agents. 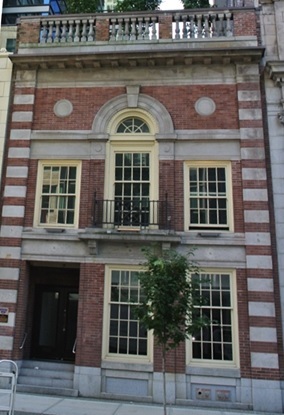 Their offices were in the Inns of Court Building at 301 Hastings Street. Charles Joseph Loewen (1867-1963) was president of the company; he lived at the Manor House Hotel. “Forbes Morrison Mac Iver Mac Iver-Campbell” was the third person in the company name. By 1898, Mr. Loewen and Mr. Campbell no longer had any connection with the business. The company applied to the British Columbia government to change the company name to Ceperley, Mackenzie and Rounsfell [sic] Ltd. Hector Mackenzie (1863-1939) and Frank Rounsefell became the other main shareholders. 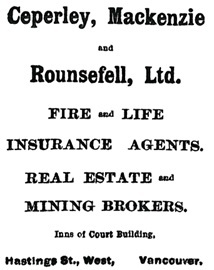 Ceperley, Mackenzie and Rounsefell, Ltd., advertisement, Vancouver Province, June 4, 1898, page 1. 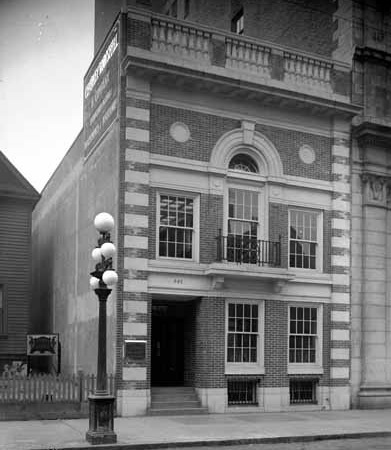 By 1902, the company was called “Ceperley Rounsefell and Company,” with offices on the second floor of the Molson’s Bank Chambers at 597 West Hastings Street. In February 1890, Frank became the secretary of the Burrard Inlet Rowing Club. About 1896, Frank’s father moved to the Chilliwack area. 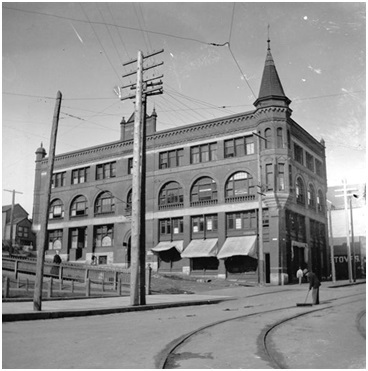 By 1896, Frank had moved to 935 Hornby Street. On January 8, 1898, in Vancouver, he married Elizabeth DeWolf Vaughan. She was born in Liverpool, England, on March 29, 1869. Her parents were Simon Vaughan and Sarah Embree deWolf. From 1898 to 1903, Frank was at 1359 Pender Street. 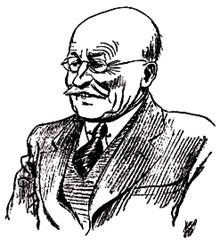 Frank took on a larger role in Henry Ceperley’s business; when the Ceperley Rounsefell Company was formed about 1901, he became the managing director. On June 25, 1903, Frank applied to the City of Vancouver for a permit to build a house at the corner of Haro Street and Gilford Street. The architects were Parr and Fee. According to the permit, the cost of the house was $2600, although the house may actually have cost about $2000. The family had moved in by 1904, and they stayed there until 1912. In the summer of 1907, Frank took a trip to Dawson City, in the Yukon Territory. In January 1909, Elizabeth and the two Rounsefell children took a trip to the “Upper Country.” Their specific destination was Salmon Arm, and in March 1909 Frank went there to join them. Elizabeth and the children returned to Vancouver in early April. 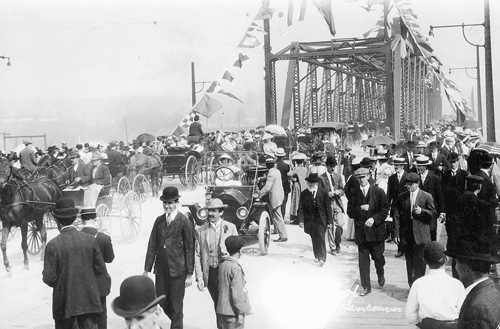 Frank received an invitation to attend the official opening of the new Granville Street bridge on September 6, 1909. 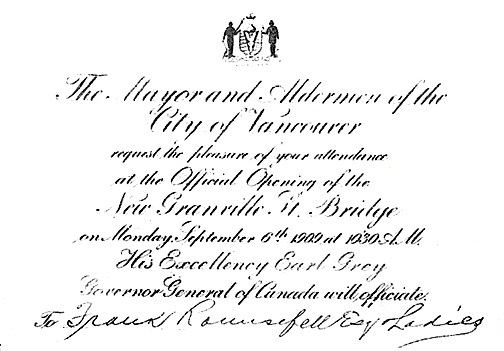 Invitation to attend official opening of new Granville Street bridge, September 6, 1909, Vancouver City Archives, A.M. 0054.013,04001. Frank was an active member of the Vancouver Club, and he was the president of the club in 1921. He was also a member of the Point Grey Riding Club and a charter member of the Jericho Golf and Country Club. 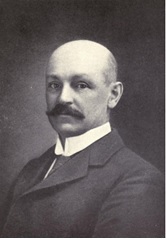 In 1910, Henry Ceperley retired from active participation in the company, although he stayed on as president. Frank took over the control and management of the business. In September 1910, Frank and Elizabeth went on a trip to Spokane, Washington. 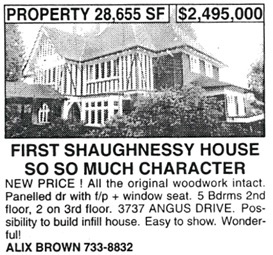 Frank built a large house at 3737 Angus Drive in Shaughnessy Heights. Maclure & Fox were the architects. The family moved there about 1913. The house was still there in 2016, well-maintained and with updated facilities. A fire destroyed much of the house on the early morning of October 22, 2017. Shaughnessy heritage mansion destroyed by fire; by Stephanie Ip; Vancouver Sun, October 22, 2017; http://vancouversun.com/news/local-news/fire-crews-battle-blaze-at-mansion-in-vancouvers-shaughnessy. In 1917, Frank was a witness in a public inquiry to investigate a series of charges against the Vancouver Fire Department. He said that there was a lack of organization and a loss of discipline and inefficiency in the department. In 1921, the Ceperley Rounsefell Company hired the architectural firm of Sharp and Thompson to build an office at 846 West Hastings Street. Sharp and Thompson had used a Georgian Revival design for the Vancouver Club, which was almost across the street, and they used a similar design for the Ceperley Rounsefell building. Ceperley, Rounsefell and Company building, Vancouver Public Library, VPL Accession Number: 21208; November 19, 1921. 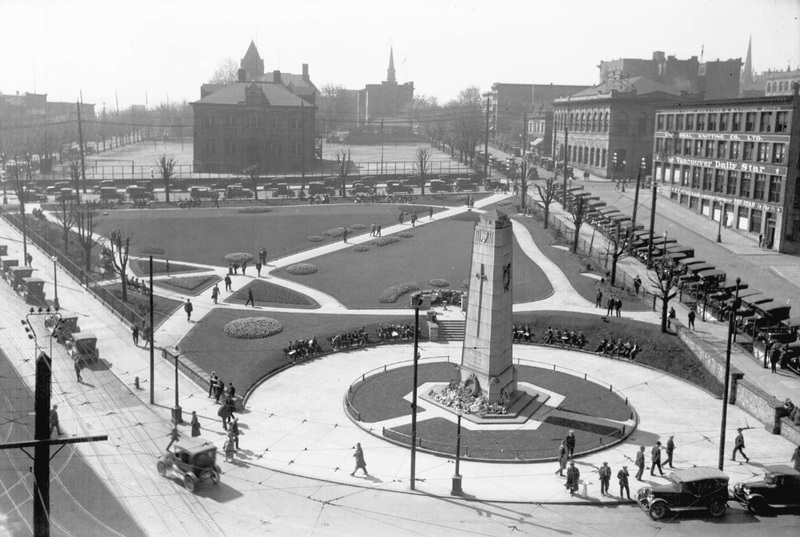 In the early 1920s, Frank was the chairman of the Vancouver War Memorial Committee, which oversaw the building of Vancouver’s downtown cenotaph. The cenotaph still stands in Victory Square, on the former site of the old courthouse at the southwest corner of West Hastings Street and Cambie Street. In 1931, Frank announced that Brigadier General R.P. 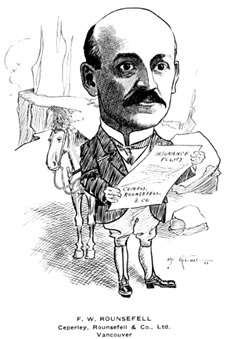 Clark was taking charge of the bond and investment department of Ceperley Rounsefell. In 1932, Charles S. Cameron, the office manager of Ceperley Rounsefell, sued Frank and the other senior members of the company, claiming that they had improperly deprived him of his salary for several months. Since the court had dissolved the partnership in an earlier action, and had already decided Mr. Cameron’s rights to any salary, the court dismissed his claim. In 1936, the Vancouver Province published a colourful retrospective on Frank’s life in Vancouver. Frank died in Vancouver on August 31, 1938. He was buried in Mountain View Cemetery in Vancouver. Elizabeth continued to live in the house on Angus Drive. She died in Vancouver on June 28, 1954. She was buried in Mountain View Cemetery in Vancouver. Frank and Elizabeth had the following children. Eric de Wolf Rounsefell was born in Vancouver on November 14, 1898. He went to the Royal Military College in Kingston, Ontario. He enlisted with the Canadian Expeditionary Force during the First World War, and served as a second lieutenant with the Leinster Regiment. Lieut. 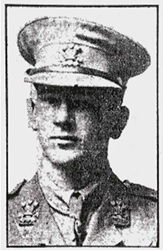 Eric deWolf Rounsefell, Vancouver Province, September 10, 1918, page 15. He was killed on September 3, 1918. He was buried at Nieuwkerke Churchyard, Heuvelland, Belgium. 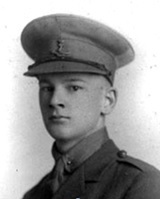 On October 1, 1918, he was posthumously awarded the Military Cross. Marjorie Vaughan Rounsefell was born in Vancouver on March 15, 1901. She never married. She died in Vancouver on December 19, 1974. “England and Wales Census, 1861,” index, FamilySearch (https://familysearch.org/pal:/MM9.1.1/M7HB-YQD : accessed 7 December 2014), John Rounsefell, St Columb Major, Cornwall, England; from “1861 England, Scotland and Wales census,” index and images, findmypast (www.findmypast.co.uk : DC Thomson, n.d.); PRO RG 9, The National Archives, Kew, Surrey. (possible connection). “Canada, Marriages, 1661-1949,” index, FamilySearch (https://familysearch.org/pal:/MM9.1.1/F2LN-DZ5 : accessed 7 December 2014), John Rounsefell and Margaret Dewolf, 30 Apr 1862; citing Wolfville, reference P62 Cn189; FHL microfilm 1,298,810. The Assiniboine Basin: A Social Study of Discovery, Exploration and Settlement, by Martin Kavanagh, originally published 1946, reprinted in 1967 and 2007. Page 169 of 2007 reprint; http://www.mhs.mb.ca/docs/books/assiniboinebasin.pdf: J.E Woodworth and John Rounsefell had a general store at the southeast corner of Pacific Avenue and First Street in Brandon, Manitoba. “Canada Census, 1901,” index, FamilySearch (https://familysearch.org/pal:/MM9.1.1/KHVJ-RG5 : accessed 05 Dec 2014), John Rounsfell, A, New Westminster, British Columbia, Canada; citing p. 1, Library and Archives of Canada, Ottawa. “British Columbia Death Registrations, 1872-1986,” index and images, FamilySearch (https://familysearch.org/pal:/MM9.1.1/FLKH-ZB2 : accessed 04 Dec 2014), John Rounsefell, 08 Jun 1916; citing Chilliwack, British Columbia, Canada; British Columbia Archives film number B13091, Division of Vital Statistics, Victoria; FHL microfilm 1927119. Find A Grave, Find A Grave Memorial# 69055689, John Rounsefell, Jr, http://www.findagrave.com/cgi-bin/fg.cgi?page=gr&GRid=69055689; Birth: May 1, 1833; Wolfville, Nova Scotia, Canada; Death: Jun. 8, 1916, Chilliwack, British Columbia, Canada. Burial: Chilliwack Cemeteries, Chilliwack, Fraser Valley Regional District, British Columbia, Canada, Plot: 380-3. 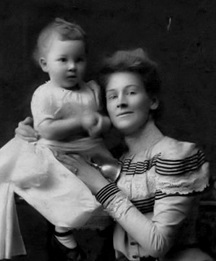 “Canada Census, 1901,” index, FamilySearch (https://familysearch.org/pal:/MM9.1.1/KHVJ-RGR : accessed 05 Dec 2014), Margaret Rounsfell in household of John Rounsfell, A, New Westminster, British Columbia, Canada; citing p. 1, Library and Archives of Canada, Ottawa. “British Columbia Death Registrations, 1872-1986,” index and images, FamilySearch (https://familysearch.org/pal:/MM9.1.1/FLKC-1Z7 : accessed 05 Dec 2014), Margaret Rounsefell, 13 Jan 1908; citing Vancouver, British Columbia, Canada; British Columbia Archives film number B13096, Division of Vital Statistics, Victoria; FHL microfilm 1927124; https://familysearch.org/pal:/MM9.3.1/TH-267-12399-242454-29?cc=1538285; https://familysearch.org/pal:/MM9.3.1/TH-267-12399-243429-46?cc=1538285. “Find A Grave Index,” index, FamilySearch (https://familysearch.org/pal:/MM9.1.1/QV28-J7BM : accessed 05 Dec 2014), Margaret Dewolf Rounsefell, 1908; Burial, Chilliwack, Fraser Valley Regional District, British Columbia, Canada, Chilliwack Cemeteries; citing record ID 69055795, Find a Grave, http://www.findagrave.com. Find A Grave, Find A Grave Memorial# 69055795, Margaret DeWolf Rounsefell, http://www.findagrave.com/cgi-bin/fg.cgi?page=gr&GRid=69055795; Birth: Mar. 31, 1839, Amherst, Nova Scotia, Canada; Death: Jan. 13, 1908, Vancouver, British Columbia, Canada. Burial: Chilliwack Cemeteries, Chilliwack, Fraser Valley Regional District, British Columbia, Canada, Plot: 380-4. Francis W. Rounsefell, Who’s Who in Western Canada, 1911, page 330. “Nova Scotia Vital Records, 1763-1957,” index, FamilySearch (https://familysearch.org/pal:/MM9.1.1/KMG9-GBR : accessed 05 Dec 2014), Francis William Rounsefell, 1868, Birth; citing p. 62, volume 1816, , Kings, Nova Scotia, Canada; Nova Scotia Archives, Halifax. “Canada, Births and Baptisms, 1661-1959,” index, FamilySearch (https://familysearch.org/pal:/MM9.1.1/F2W8-GR7 : accessed 05 Dec 2014), Francis William Rounsefell, 19 Feb 1868; citing Wolfville, Kings, Nova Scotia, 19 Feb 1868, reference item 2 p 62; FHL microfilm 1298810. “Nova Scotia Births and Baptisms, 1702-1896,” index, FamilySearch (https://familysearch.org/pal:/MM9.1.1/XLRH-9QK : accessed 05 Dec 2014), Francis William Rounsefell, 19 Feb 1868; citing Wolfville, Kings, Nova Scotia; FHL microfilm 1298810. “England and Wales Census, 1871,” index and images, FamilySearch (https://familysearch.org/pal:/MM9.1.1/VBXM-M4V : accessed 05 Dec 2014), Frank W Rounsefell in household of John Rounsefell, Liverpool, Lancashire, England; from “1871 England, Scotland and Wales census,” index and images, findmypast (www.findmypast.co.uk : DC Thomson, n.d.); PRO RG 10, folio , p. 11; Liverpool registration district, Mount Pleasant subdistrict, ED 33, household 42, The National Archives, Kew, Surrey; FHL microfilm 0841894. “British Columbia Marriage Registrations, 1859-1932,” index and images, FamilySearch (https://familysearch.org/pal:/MM9.1.1/JDZ6-B5D : accessed 05 Dec 2014), Francis William Ronnsefell and Elizabeth De Wolf Vaughan, 08 Jan 1898; citing , British Columbia, Canada, British Columbia Archives film number B11372, Vital Statistics Agency, Victoria; FHL microfilm 1983529. “Canada Census, 1901,” index, FamilySearch (https://familysearch.org/pal:/MM9.1.1/KHVN-VFH : accessed 05 Dec 2014), Francis Rounsefell, D, Burrard, British Columbia, Canada; citing p. 1, Library and Archives of Canada, Ottawa; http://automatedgenealogy.com/census/View.jsp?id=59756&highlight=34&desc=1901+Census+of+Canada+page+containing+Francis+Rounsefell. Vancouver Province, January 2, 1904, page 10: reference to F.W. 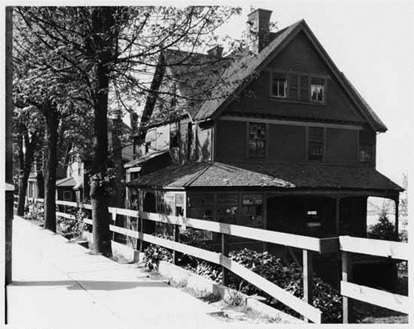 Rounsefell’s house at the corner of Haro Street and Gilford Street. “Canada Passenger Lists, 1881-1922,” index and images, FamilySearch (https://familysearch.org/pal:/MM9.1.1/2HGQ-N3M : accessed 05 Dec 2014), Francis Wm Rounsefell, Aug 1913; citing Immigration, Quebec City, Quebec, Canada, T-4802, Library and Archives Canada, Ottawa, Ontario. Cameron v. Rounsefell (1933) 47 British Columbia Reports, pages 401-404;  3 Western Weekly Reports, pages 121-126. “California, San Francisco Passenger Lists, 1893-1953”, index and images, FamilySearch (https://familysearch.org/pal:/MM9.1.1/KXHW-QXX : accessed 05 Dec 2014), Francis W Rounsefell, 1934. “In July, 1886, when Vancouver was busily and bravely reconstructing itself from the ashes of its disastrous fire, two gentlemen with faith in their city’s future incorporated a real estate and financial business under the firm name of Ross & Ceperley. By 1888 their firm had already become an integral and respected part of Vancouver’s business world, so that approaching it in search of employment seemed nothing less than logical to a certain brisk young man who was then in the process of obeying the go-west urge. Thus, when this young man stepped off a train from the east, he called within the hour at the offices of the two real estate men – offices then located next to the present Morris cigar store on Hastings street. Five years later the young man owned an interest in the business; three years more and his name was added to the letterheads in recognition of his partnership. Now, as the firm celebrates its fiftieth birthday during the summer of Vancouver’s Golden Jubilee, Mr. Rounsefell is still extremely active in all its undertakings. It is now known – and has been for years – as Ceperley-Rounsefell, with the first half retained out of respect for the memory of the late H.T. Ceperley, for whom Mr. Rounsefell maintains a never-dying affection. Mr. Ross had died years before his partner. “Peppy” is the slightly disrespectful but nevertheless apt adjective that naturally occurs when describing the short, slim, grey moustached gentleman who celebrated his sixty-eighth birthday last February. A visit and a talk in the offices of the friendly and active Mr. Rounsefell leave s the impression that his only concession to the years behind him is a wholehearted enjoyment of the rich memories he has accumulated while Vancouver reached its majesty and finally attained the right to celebrate its golden anniversary. Although this wicked month of March, with its attendant sickness prevented him for a time, in fine weather his favourite exercise and recreation is still riding. President of the Point Grey Riding Club, Mr. Rounsefell owns his own horse and stables it in the club’s quarters. Wet weather relaxation is apt to centre around the Vancouver Club, of which he is past president. There he is known as an astute man at round table meetings, expert at holding the winning arguments back to back. He lunches there daily. 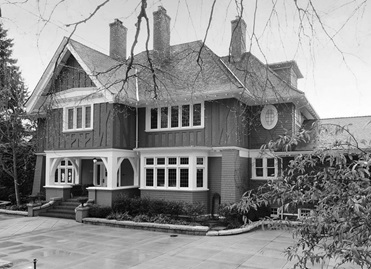 His affection – it could almost be called that – for the Vancouver Club is marked, although he still retains a warm spot in his heart of the Quadra, many of whose members are numbered among his closest friends. Many years ago, when it was known as the St. George’s Club, he was a prominent member. The walls of his Hastings street office are liberally hung with large photographs of Vancouver in various stages of its existence. The artist who coloured one of these had to be corrected in the matter of dates by Mr . Rounsefell – dates being one of his strong points. He is at present working on a short history of his firm and its relation to Vancouver’s progress. “British Columbia Death Registrations, 1872-1986,” index and images, FamilySearch (https://familysearch.org/pal:/MM9.1.1/FLLL-J86 : accessed 05 Dec 2014), Francis William Rounsefell, 31 Aug 1938; citing Vancouver, British Columbia, Canada; British Columbia Archives film number B13163, Division of Vital Statistics, Victoria; FHL microfilm 1953196. “Find A Grave Index,” index, FamilySearch (https://familysearch.org/pal:/MM9.1.1/QVV5-7N9C : accessed 05 Dec 2014), Francis William Rounsefell, 1938; Burial, Vancouver, Greater Vancouver Regional District, British Columbia, Canada, Mountain View Cemetery; citing record ID 26302609, Find a Grave, http://www.findagrave.com. “F.W. Rounsefell Obsequies Today,” Vancouver News-Herald, September 2, 1938, page 12. “Funeral Services Held for F.W. Rounsefell,” Vancouver Province, September 3, 1938, page 7. Notice to make claims against estate of Francis William Rounsefell, Vancouver Province, October 15, 1938, page 33; Vancouver Province, Novebmer 5, 1938, page 33. 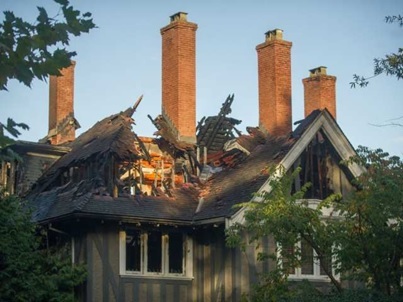 “Shaughnessy heritage mansion destroyed by fire”; by Stephanie Ip; Vancouver Sun, October 22, 2017; http://vancouversun.com/news/local-news/fire-crews-battle-blaze-at-mansion-in-vancouvers-shaughnessy. “England and Wales Non-Conformist Record Indexes (RG4-8), 1588-1977,” index, FamilySearch (https://familysearch.org/pal:/MM9.1.1/FQ3J-S9Q : accessed 5 December 2014), John William Vaughan, 15 Jan 1918, Marriage; citing p. 293, Paris, France, record group RG34, Public Record Office, London. “Find A Grave Index,” index, FamilySearch (https://familysearch.org/pal:/MM9.1.1/QV28-JJT9 : accessed 5 December 2014), Sarah Embree Lusby Dewolf, 1881; Burial, Wolfville, Kings County, Nova Scotia, Canada, The Old Cemetery; citing record ID 69058564, Find a Grave, http://www.findagrave.com. “England and Wales, Birth Registration Index, 1837-2008”, index, FamilySearch (https://familysearch.org/pal:/MM9.1.1/2X7L-7JG : accessed 5 December 2014), Elizabeth De Wolf Vaughan, 1869. “Canada Census, 1901,” index, FamilySearch (https://familysearch.org/pal:/MM9.1.1/KHVN-VFC : accessed 05 Dec 2014), Elisabeth Rounsefell in household of Francis Rounsefell, D, Burrard, British Columbia, Canada; citing p. 1, Library and Archives of Canada, Ottawa. “Canada Passenger Lists, 1881-1922,” index and images, FamilySearch (https://familysearch.org/pal:/MM9.1.1/2HGQ-N39 : accessed 05 Dec 2014), Rounsefell, Aug 1913; citing Immigration, Quebec City, Quebec, Canada, T-4802, Library and Archives Canada, Ottawa, Ontario. “California, San Francisco Passenger Lists, 1893-1953”, index and images, FamilySearch (https://familysearch.org/pal:/MM9.1.1/KXHW-QXF : accessed 05 Dec 2014), Elizabeth Rounsefell, 1934. “Hawaii, Honolulu Passenger Lists, 1900-1953,” index and images, FamilySearch (https://familysearch.org/pal:/MM9.1.1/QV9Z-5NLH : accessed 05 Dec 2014), Elizabeth De Wolf Rounsefell, 1938; citing Ship Empress Of Japan, NARA microfilm publication A3422, National Archives and Records Administration, Washington D.C.
“British Columbia Death Registrations, 1872-1986,” index and images, FamilySearch (https://familysearch.org/pal:/MM9.1.1/FLP1-PMP : accessed 05 Dec 2014), Elizabeth Dewolf Rounsefell, 28 Jun 1954; citing Vancouver, British Columbia, Canada; British Columbia Archives film number B13220, Division of Vital Statistics, Victoria; FHL microfilm 2032966. “Funeral Held of Pioneer City Woman,” Vancouver Province, July 2, 1954, page 8. “Rites Held for Widow of City Businessman,” Vancouver Sun, July 5, 1954, page 35; http://news.google.com/newspapers?id=AzxlAAAAIBAJ&sjid=vokNAAAAIBAJ&pg=2818%2C708418: link leads to page 36; article is on page 35]. “Find A Grave Index,” index, FamilySearch (https://familysearch.org/pal:/MM9.1.1/QV28-JDR7 : accessed 5 December 2014), Elizabeth deWolf Vaughan Rounsefell, 1954; Burial, Vancouver, Greater Vancouver Regional District, British Columbia, Canada, Mountain View Cemetery; citing record ID 69052367, Find a Grave, http://www.findagrave.com. British Columbia Birth Registrations, Registration Number 1898-09-118777, Eric DeWolf Ronnsefell [sic]; birth place: Vancouver; birth date: November 14, 1898. “Canada Census, 1901,” index, FamilySearch (https://familysearch.org/pal:/MM9.1.1/KHVN-VFZ : accessed 05 Dec 2014), Eric Rounsefell in household of Francis Rounsefell, D, Burrard, British Columbia, Canada; citing p. 1, Library and Archives of Canada, Ottawa. Eric DeWolf Rounsefell, http://www.everymanremembered.org/profiles/soldier/482876/: Leinster Regiment, Died on 3 September 1918 Age 19, Nieuwkerke (Neuve-Eglise) Churchyard, West-Vlaanderen Belgium. Son of Francis William and Elizabeth De Wolf Rounsefell, of 3737 Angus Avenue, Shaughnessy Heights, Vancouver, British Columbia. “Find A Grave Index,” index, FamilySearch (https://familysearch.org/pal:/MM9.1.1/QVVC-ZGPQ : accessed 7 December 2014), Second Lieutenant Eric deWolf Rounsefell, 1918; Burial, Heuvelland, , West Flanders (West-Vlaanderen), Belgium, Nieuwkerke Cemetery; citing record ID 11151197, Find a Grave, http://www.findagrave.com. Find A Grave, Find A Grave Memorial# 11151197, Second Lieutenant Eric deWolf Rounsefell, http://www.findagrave.com/cgi-bin/fg.cgi?page=gr&GRid=11151197; Birth: Nov. 14, 1898; Death: Sep. 3, 1918; Burial: Nieuwkerke Cemetery, Heuvelland, West Flanders (West-Vlaanderen), Belgium. “Native Son is Killed: Lieutenant Eric Rounsefell Gives His Life for His Country,” Vancouver Sun, September 10, 1918, page 2. “Canada Census, 1901,” index, FamilySearch (https://familysearch.org/pal:/MM9.1.1/KHVN-VF8 : accessed 05 Dec 2014), Marjory Rounsefell in household of Francis Rounsefell, D, Burrard, British Columbia, Canada; citing p. 1, Library and Archives of Canada, Ottawa. “California, San Francisco Passenger Lists, 1893-1953”, index and images, FamilySearch (https://familysearch.org/pal:/MM9.1.1/KXHW-QXN : accessed 05 Dec 2014), Marjorie Rounsefell, 1934. “Hawaii, Honolulu Passenger Lists, 1900-1953,” index and images, FamilySearch (https://familysearch.org/pal:/MM9.1.1/QV9Z-5NLC : accessed 05 Dec 2014), Marjorie Vaughan Rounsefell, 1938; citing Ship Empress Of Japan, NARA microfilm publication A3422, National Archives and Records Administration, Washington D.C.
“British Columbia Death Registrations, 1872-1986,” index and images, FamilySearch (https://familysearch.org/pal:/MM9.1.1/FLB2-D72 : accessed 05 Dec 2014), Marjorie Vaughan Rounsefell, 19 Dec 1974; citing Vancouver, British Columbia, Canada; British Columbia Archives film number B13338, Division of Vital Statistics, Victoria; FHL microfilm 2050342. “Find A Grave Index,” index, FamilySearch (https://familysearch.org/pal:/MM9.1.1/QVV5-7N9D : accessed 05 Dec 2014), Marjorie Vaughan Rounsefell, 1974; Burial, Vancouver, Greater Vancouver Regional District, British Columbia, Canada, Mountain View Cemetery; citing record ID 26368838, Find a Grave, http://www.findagrave.com.